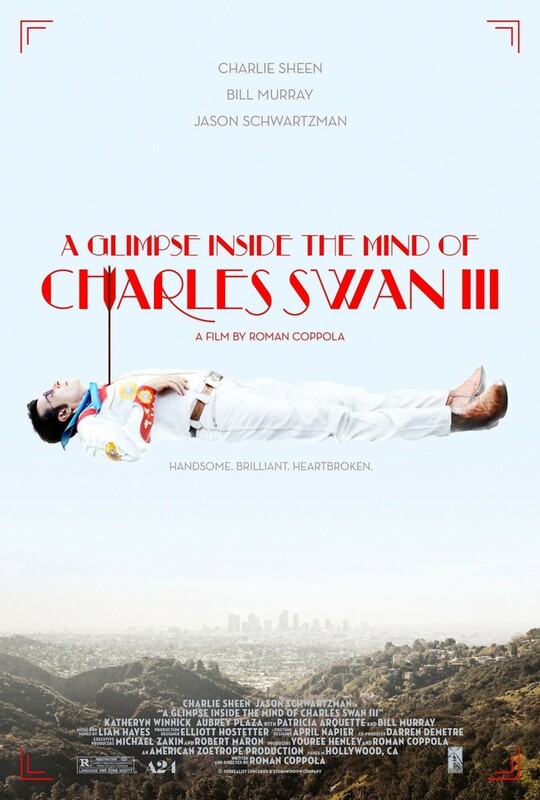 A Glimpse Inside the Mind of Charles Swan III DVD and Blu-ray release date was set for May 14, 2013. This cerebral adventure follows Charles Swan, a substance-abusing, womanizing artist who is figuring out how to deal with his life after being dumped by his girlfriend. When he wakes up in a hospital following the breakup and a near-death experience, he begins a period of self-examination in order to put the pieces of his life back together. Charles discusses his faults and life choices with both his sister Izzy and his best friend Kirby, but he also paints fanciful, imaginary scenes in his mind as he tries to come to terms with his personal flaws and the end of his relationship.